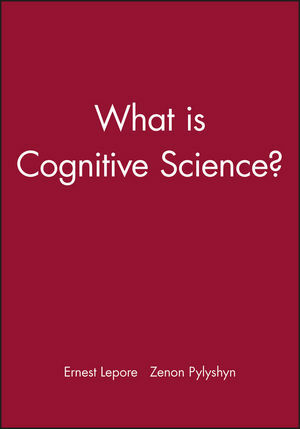 Written by an assembly of leading researchers in the field, this volume provides an innovative and non-technical introduction to cognitive science, and the key issues that animate the field. Ernest Lepore is Director of the Centre for Cognitive Science at Rutgers University. He is the author of numerous articles in philosophy of mind and is co-author (with Jerry Fodor) of Holism (Blackwell 1991). He is editor of Truth and Interpretation (Blackwell 1989) and co-editor (with Robert Van Gulick) of John Searle and His Critics (Blackwell 1992), as well as general editor of the series "Philosophers and Their Critics", also published by Blackwell. Zenon Pylyshyn joined the faculty of Rutgers University as Board of Governors Professor of Cognitive Science and Director of the Rutgers Center for Cognitive Science in 1994. Pylyshyn has published over 60 scientific articles and book chapters, including a paper designated as a Science Citation Classic, What the Mind's Eye Tells the Mind's Brain, Psychological Bulletin, (1973). He is on the editorial boards of eight scientific journals and on the International Scientific Advisory Board of the BC Advanced Systems Institute. Consists of 14 newly-commissioned articles.